When Apex Legends first dropped, my initial reaction was concern about the Titanfall IP. How could it not be? 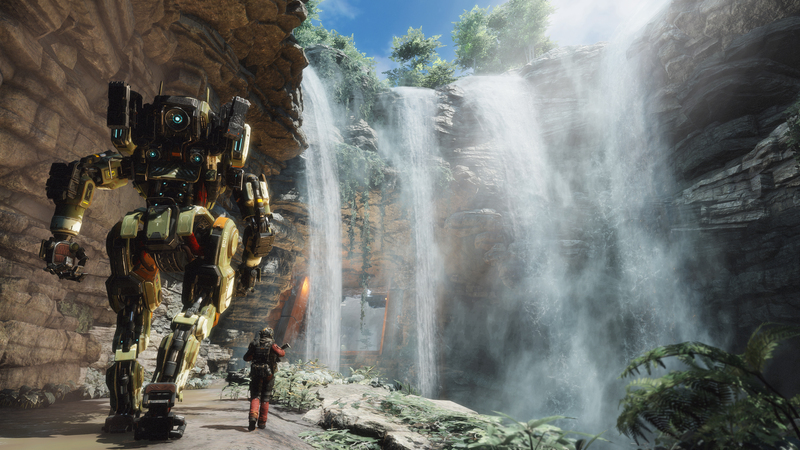 The Titanfall IP, despite being tied to Apex Legends in setting, isn’t actually anywhere in or around the new game. The brand isn’t on the game’s official website at all, and the only reason we knew upfront the connection is there (aside from some lore keywords), is Respawn itself telling us. I had a hot take and everything prepared for this being Respawn’s final, quiet sendoff for Titanfall. But I’m glad I hung on to that, because now I think it’s possible that Apex Legends could actually save Titanfall. The writing has been on the wall for a while with Titanfall. The second game seemed to have been buried on the release calendar of its respective year, sandwiched between the two biggest shooters in the industry. It sold fairly well, but those sales seemed to not only drop pretty quickly after the initial run, but it fell into the dreaded “under expectations” category, and EA dropped it like a brick. Then, several Titanfall spinoffs either came out and failed (mobile games for instance) or were outright canceled before they could land. Now, Apex Legends is here and we learn that Respawn’s new free to play battle royale shooter is what remains of Titanfall 3 before EA’s acquisition. But then something happened. Apex Legends performed like nobody expected it to. Far beyond the influencers praising the game on day one (which hardly ever means anything), Apex Legends stuck around. It did some numbers, then it did some bigger numbers. 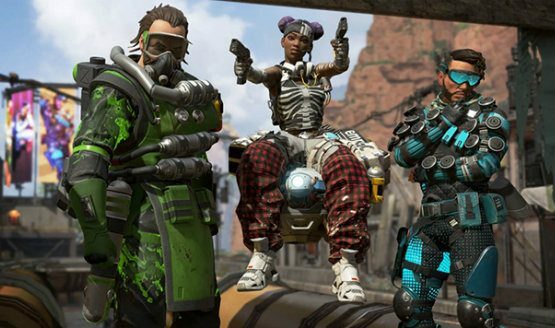 By the time a week had passed, Apex Legends reached over 20 million players and a peak of two million concurrent players. Those aren’t regular Fortnite numbers, but they aren’t so far off, especially for something brand new. Respawn staff even have expressed surprise over this on social media, and EA’s stock blew up after just dropping days before. Then the fiscal reports started coming out, and we learned that hope isn’t lost for the Titanfall name after all. While Apex Legends is what Respawn is focused on as its ostensible main pillar (while the Star Wars game is still relatively under wraps for now), another Titanfall project is planned. We don’t know much about it, but what we do know from comments via Respawn CEO Vince Zampella is that it will certainly be using the “T word,” and it will be something a bit different and experimental for the series. It is also supposedly be coming in 2019, whatever it ends up being. Now, my inclination is to think that Titanfall very well could get a new lease on life due to both EA ownership and all these new eyeballs on Respawn. Whatever this next project is could totally ride that wave from Apex Legends, especially if it’s another long-running, service type game that could support cross-promotion between the two titles. That wouldn’t make fans of the story-heavy Titanfall 2 happy, but it could be a start towards a new Titanfall 3. The problem goes back to my initial misgivings. While Apex Legends is a smash hit for EA and Respawn, it still doesn’t have Titanfall anywhere near it in name. Sure, the lore and some marketing materials mention the background and some of the other little details in the Titanfall universe, but that’s it. Apex Legends is far more interested in focusing on its cast of colorful and diverse characters (and their neat abilities) over more directly connecting to what came before. At least, that’s the case for now.